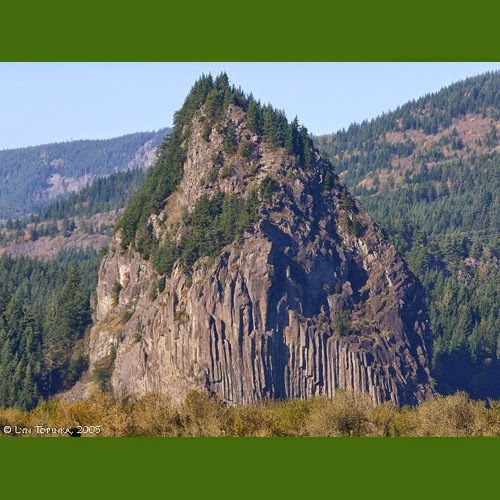 Friends of the Columbia Gorge is hosting a Beacon Rock Geology Hike this Friday, October 10, 2014. It is a moderate intensity with a 800-foot elevation gain two mile hike. Spots are still available for this hike and it is free to members . Learn more about this Beacon Rock Geology Hike below. Follow leader Jim Chase up Beacon Rock to an iconic viewpoint high above the river. Jim will kick off the hike with a 20-minute Ice Age Floods presentation describing the epic glacial floods that shaped the Columbia Gorge more than 15,000 years ago.